REWIRING THE SOUL with Gabriella Kortsch, Ph.D.: Who Makes Your Choices For You? Do you always make your own choices, or are others involved in ways you don't even suspect? Read on. You form part of group that is discussing a current political or religious issue. You have a very strong opinion about it, but notice that the opinion of most of the members of the group is diametrically opposed to yours, so you either don't voice it, or you vaguely join their side - at least for the duration of the talk. Who made your choice for you? You have been invited to a very elegant dinner party. You decide to wear a specific dress or suit. But a voice in your head keeps telling you that the people you will probably run into there (as well as the hosts), tend to dress in such-and-such a way, and hence it would be better to wear something more along those lines. Who made your choice for you? You are contemplating a job or even career change. You think about it, obviously, but you also discuss it with your nearest and dearest. They seem to think you would do better staying put. Your heart and gut are screaming at you to make the move, but since no one else seconds you, you don't make the change. Who made your choice for you? You have a health dilemma ... a very, very serious one. You believe you should deal with it in a specific way (this is a true story about a friend). Your well-meaning friends, however, and your doctors hammer away at you, and finally you allow the latter to do what you had always said you never would do. After numerous ever-more mutilating surgeries and masses of chemotherapy, you succumb to the illness. Am I saying this person might not have died had he/she followed his own route? Of course not! I'm simply saying that even in situations such as these, our heart and gut often give us better information than others do - no matter who the others are. And in this instance, my friend might still have died (or not), but perhaps with a greater degree of dignity. Who made the choice for this person? None of this has to do with you being a wimp. It's not associated with being cowardly or weak. It is, however, associated with having low self-esteem, low respect and consideration for the self, and hence a low-calibre decision-making process that in ideal circumstances would listen to others' opinions, but still base the decision on whatever that individual believes is right for him or herself as opposed to allowing the opinion of others to make up his/her mind. Self-esteem and self-love are closely correlated. 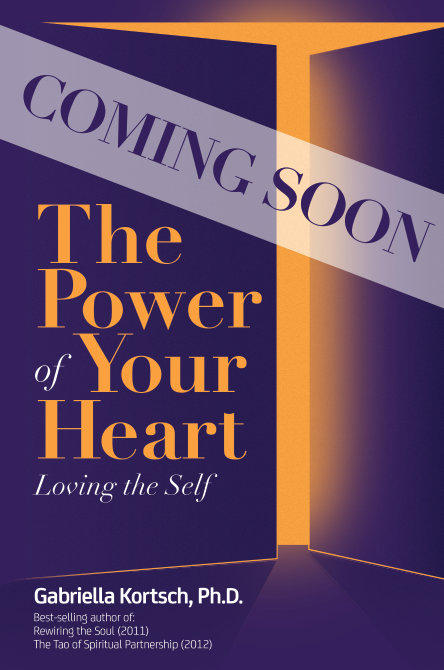 I discuss these topics in both of my books Rewiring the Soul (2011), and The Tao of Spiritual Partnership (2012), but due to the difficulty so many have with learning how to love the self, my new book (to be released fall 2013): The Power of Your Heart: Loving the Self, discusses the matter in much greater detail and shows exactly how this can be learned, if one so desires. For more about how to consciously move in the direction that is yours alone and how this can move you to greater awareness, inner peace, well-being, success, and joy, have a look at my book Rewiring the Soul: Finding the Possible Self (paperback or Kindle).